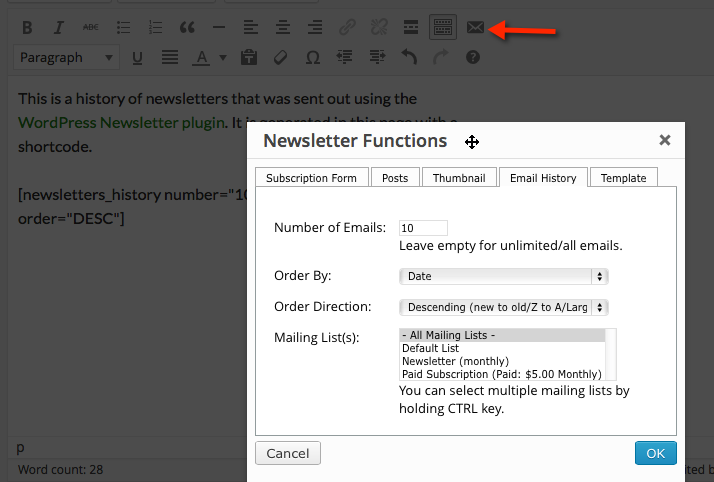 This is a history of newsletters that was sent out using the WordPress Newsletter plugin. It is generated in this page with a shortcode. 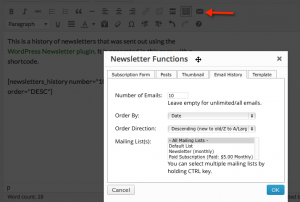 This is a links and clicks test newsletter for the Newsletter plugin. The plugin was created by Antonie Potgieter at Tribulant Software. There are 2 files attached to this newsletter. They will be sent through to the subscribers together with the content of the email. We can use this email to test out the Google Analytics campaigns.